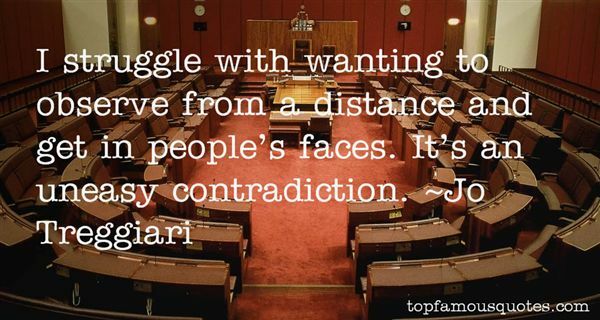 Reading and share top 7 Jo Treggiari famous quotes and sayings. 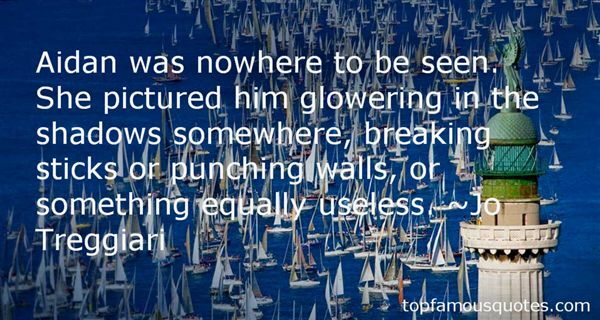 Browse top 7 most favorite famous quotes and sayings by Jo Treggiari. I think of the view from a favorite arroyo in the late afternoon, the east slope still bathed in sunlight, the far slope already full of dark shade and lengthening shadows. A cool breeze, as one can look across the plains, out over miles of homes and trees, and hear the faraway hum of traffic on the high-ways and see the golden light filtering through the mist-laden air." 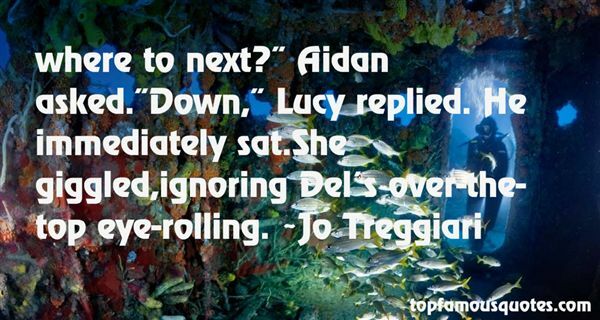 What Did Jo Treggiari Talk About?